GDC Artistic Associates engage the community through individually-crafted Advocacy Fellowships, serving as advocates and creators of new programming at Gibney. Each AA pinpoints a pressing issue in the dance field that ignites a personal passion within them, then leverages the resources and mentoring of the larger organization to develop, implement and co-create new programs in response to the evolving needs of the field. “For my advocacy fellowship, I’m developing CONFIDANZ, a program that highlights collaborative techniques for dance artists and photographers to create thoughtful and crafted images. Professional photographs are a vital tool for advancement in the dance field. Yet, few dancers have a comprehensive understanding of the key components of photography, which limits their ability to collaborate effectively with photographers. The sessions stress the importance of trust, dialogue, and understanding between dancer and photographer (both artistic and logistical). 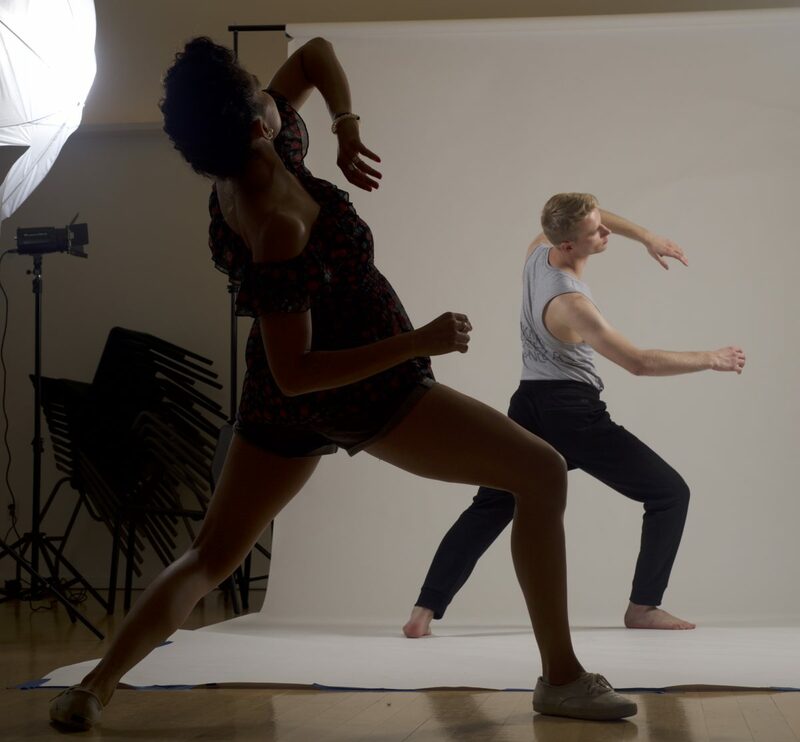 CONFIDANZ workshops create a safe and supportive environment for dance artists to learn tangible tools and build ‘confidanz’ through bold choice-making, leading to successful and empowering photo shoots. Photo of Zui Gomez in CONFIDANZ by Gabriel Johnson, Levue Studios. dance-mobile is an ongoing summer series of free outdoor performances, classes, and talks in parks throughout the city showcasing the work of Gibney Dance Company and artists within the community. ‘Making space for dance’ in outdoor public spaces since 2014, Gibney hopes to make the power of movement accessible to all members of our community. What began as my advocacy fellowship, has become another facet of the curatorial opportunities of GDC’s overall season facilitated in partnership with Co-Director Nigel Campbell, Company Manager Trina Mannino, and through support from the larger Gibney organization as a whole. dance-mobile is generously supported by Con Edison and sustained by ongoing partnerships with the Brooklyn Bridge Park Conservatory and Union Square Partnership.